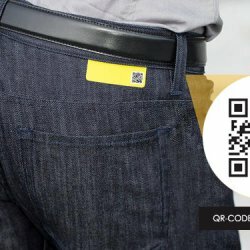 QR CODE label can be used to provide the traceability of the garment, keep the information of the origin of the raw materials, the location of the production process, and where the cloth is been sold. What we call MADE IN ITALY: In case of production made with environmentally sustainable process, it is useful to transfer this information to the end users, giving an AWARE and RESPONSIBLE SHOPPING mode. With QR-CODE is easy to assign to the label, capillaries marketing actions. It is easy to include into QR-CODE a link that refers to a video or a web page, can reach directly the buyers on their mobile device. 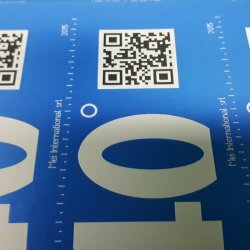 a unique QR-CODE label is the most popular and easy way to attribute to a garment its own ID, making it unique and certified. Who buys a brand garment or a brand accessory, must be protected from the risk of fraud or imitations. 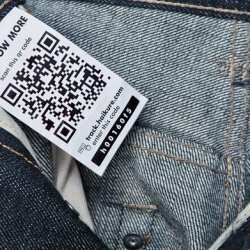 The QR-CODE allows to associate to the product, a certificate of authenticity, that grants the real value of the manufacturing, by providing a service to the buyer, by relying on a certain purchase. 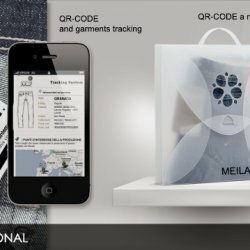 Connected with an on-line database, provide important information to the consumers, can associate in an unique and an inimitable way, the garment to its owner. This type of application opens new possibilities about the producer-consumer relationship, leading to a personalized treatment even in terms of Customer loyalty.